In trying to play the SEO game, you can end up losing your rank and even adsense… or worst case scenario- being de-indexed from the search engine. Its no joke. If you’ve been playing the game and have seen a drop in traffic and some of your listings falling from page 1 in some search terms, then you need to stop playing and start writing. You can focus on keywords, but ranking an article is more than that. It is also social engagement, domain age, backlinks, and more. Even in the micro niche sites, there are some leeway to expand on covering topics that are relevant, but also toe the line in introducing innovative ideas. Getting wrapped up in keyword density takes the natural flowing creativity of an article and makes it forced, especially if you’re not an experience writer, let alone a talented wordsmith. And if you’re writing in English as a second language, it makes it even more difficult. SEO is not hard at all. It is suppose to be simple! This is the reason why search engines like Google and Bing try to adjust their algorithms to produce human-like suggestions and results. Rather than play some guessing game that self appointed experts are pushing on people, start writing. This is one of the reasons people get stumped or they get bloggers’ block. They are trying to game a system that doesn’t exist and trying hard to impress… nothing. The best results are filling the needs of your own readers first. Your own site’s stats will tell you what people are looking for when it comes to your website. The biggest takeaway to this article is to remember that SEO is not hard… just keep it simple and your site will do fine without having to turn to playing the SEO game. I have stopped writing for these search engines and not worry too much on my rankings now as that will just get in the way of me producing content that us humans find inspiring, useful or problem solving! If you like I will provide the link? I just cannot understand why people get so caught up in SEO. It is simple when you think of it. When I read a blog that is SEO rich, I really can’t understand what the heck they are talking about. Too much SEO just kills the content. I was never the SEO buff myself, but am sure glad Google has changed all that. Of course, we have to be mindful of SEO, but not overdone. The more we “try” to do SEO, the more we end up complicating things! That is not necessary at all and we’ve got much better things to do rather than trying out tricky complicated things in the name of SEO, risking it all and even losing it all. As you say, this is no joke. The word “Organic” has a meaning and it should be respected. The messages from Google are quite clear – stop trying to manipulate the SERP’s and just create content that people want to share. In doing this you will naturally build links which will achieve more than those seen as unnatural by Google. yah seo is not hard but it very important for gain the high traffic..and chance to get high earn…..
Hooray for this. It is refreshing to read that you are in agreement with my own views. I have never bothered with keyword research for my blogs and have done very well without. Common sense is enough to choose relevant words.These days I do use the Yoast SEO plugin but that has a lot more features than just the keyword aspect. I have always used networking and adding my blog to such places as bookmarking and content curation sites as a way of bringing me visitors. Many people do make it more complex than it is and I try to reassure them when they stress about not knowing enough about SEO. Even if you have a specific niche site the keywords you use will be obvious and will be added naturally in the course of writing about the topic. If you want your blog to gain popularity and search engine rankings be patient, write regularly about topics your audience wants to read and network. You’re so true here, I think our main focus should be on creating useful and informative content which should be appreciated by our targeted audience and result will show up automatically. But yes you need to do some basic on page optimization. Nile, I believe it has gotten easier with the latest Google updates and Hummingbird algoirthm. It makes more sense to write quality content and keep your site or blog fresh with content. It is no longer necessary to use meta keywords and the black hat techniques that were in use years ago. It is so much more natural and I really like it! I love this post. I think, SEO is not hard but do it well is not easy. there is still more space to develop it. The problem is lying in your strategy and SEO tool. I am operating a small business and testing some SEO strategies. they are actually challenging me. after reading your article, I do agree with your point. Thanks a lot for sharing! Great job! It’s easier to just write content and work it through your social networks when you have an established site/blog and an established network. It’s less simple or effective to just write the content and hope you can go viral with good content. There has to be a plan in place to grow the visibility of the content so people pick it up on social networks and click on your links in SERP. Ther also should be a plan in place to produce whatever your goals are out of those shares and clicks. It’s hard to justify writing in obscurity for a while until you organically create a fan base. SEO plays a very useful role in accelerating some of that process of building visibility to reach the point where you can post links on social media and see them organically spread. I don’t entirely buy the anti-SEO position that content brings organic growth any more than I believe SEO experts that you have to create stilted content for the search engines to have any chance online. The search algorithms have not destroyed the need for some SEO practices, instead it makes it easier to adopt a very strategic and narrowly focused use of SEO that helps bridge the gap between obscurity and organic visibility. The problem is that most SEO companies sell services that require perpetual relationships, chase the wrong goals and often fall short of the desired goals. Thanks Nile to Write this type of unique information about seo is not hard ! I read whole your article and understood that you are focusing on writing but suppose if I am not a Writer then have you any other way to do seo if I have no experience in Writing? I am totally agree on this point. SEO is not hard itself, we are the one that makes it hard for ourselves. Google and other search engine loves to index and rank content on quality basis but we play the algorithms to quickly get ranked for desired words and phrases. Ya SEO is not hard if you completely understand it or keep experimenting with it and one day you will become expert at it. Yes these are good points. Plus Google keeps changing the algorithms to try to detect natural organic content. So if we keep writing for bots, then we have to keep changing everything for bots. I like your simple approach and agree to keep it authentic. Hello Nile, I agree with your thoughts about SEO. I believe that the key to getting content ranked today is focusing on quality content (answer questions and provide encouragement + solutions for your target market) as well as generating as much social action and sharing on that content as possible. Written content is not the only form of content on the internet. I’d even venture a guess that images and video are shared at a greater rate than any written content over 140 characters. reading your post is refreshing and confirming something I wondered about. Writing ‘organic’ posts make a lot more sense to me than worrying about keywords and headings etc. Of course we can completely ignore SEO and get all our traffic from Social Media and people who know our blogs, but I personally believe it can help to at least consider it. If you are going to write a huge ever green style post for example, why not check on the sort of phrasing and terms that are garnering interest on the search engines. It is “free” extra traffic, on top of what you were going to get anyway. It’s Easy to say that SEO is not hard but newbies like us know how hard it is especially panda and penguins keep coming. As you mentioned, SEO is not hard…I wonder why everyone is so intent of gaming the system. Personally, I write for my readers…though if truth be told, I write for the search engines too. But I do it in such a way that both are not offended. I don’t see any reason why any good blogger would think that is unachievable. It’s good you’ve lent your voice to this bad practice…I hope bloggers around the world will heed you. Do have a great day, Nile! I am working on SEO for last 3-4 months but not getting benefits for my blog freeinfozone.com. You are saying that SEO is not hard but can you explain in a more simpler way. although i have read you article very carefully and it is some what beneficial for me. thanks for posting this one. I like the way you think about SEO. Earlier, I used to be too concerned about SEO. I was busy stuffing keywords throughout the article, on titles etc. The result was that the titles looked abnormal, like you said. Not needing SEO would be great! But the reality is that in business our competitors use SEO tactics to get a higher page rank, so we have to as well if we want top spot. Probably not such an issue with authority sites, but with small business sites its horrible seeing someone rank higher/get more work than you using crappy SEO tactics. Thank You Nile for making things easier. Totally agree with you. Traditional SEO don’t exist anymore and Content is the only King now. Expecting more to learn. Yeah you are right blondish, but if you are doing SEO in a wrong way then your whole blog can be penalized by Google. I think every blogger should play safe and should only focus on his/her content. SEO should not be difficult but God forbid that you should write your 1000-word content and a big brand should have a 30-word page that targets the same keyword in its page title. Great post, Your are right. blogging is not a game don’t play.and mostly newbie bloggers. Do your own and if you want to make rank well write more and more with new stuff not a older stuff. In blogging content is a King. The best On-page SEO you can do to your blog post is – Publish a well-researched and in-depth article to solve your visitors or blog readers’ problems. That’s all! Google will take care all the on-page SEO needs. SEO was never hard, and it will never be in the future. Yeh, Your point is almost right. But still I think there are some hardness because of the villane of Internet world. Because of wrong SEO information we fall in trouble. I think spammers are a great impediment on the way of blogging and SEO. yup seo is not hard now we should focus on our blog/website rather than focusing only to the Robots, it was easy to game the search engine 6 months back but now we have to focus on the users requirement first. SEO is very important for any website. So you have highligted the best things for each and every visitors. Many new important and essential things may be helpful for everyone. Offensily thees crucial things is now very good for everyone. Implemented these things in your life and move to best site you attin. Google really loves natural written content and backlinks. Even though my blog is not very old, it has started getting descent traffic from Google just because I did not over do SEO for my posts. Newly written content will definitely rank but in order to improve your ranking in SERPs Domain Age and Backlinks really play a critical role. but not easy as well as i’m new to this blogsphere feeling difficulties for seo………. Bestest SEO is original quality content,and no one can beat that.Most important is never copy any content from someones site and never pay “companies” to do seo for you.Seo is really easy,it can be finished in few days,and thats it.Don’t let anyone fool you. you made some things easier for me like write post naturally and care about rankings, Than how can we generate backlinks rather commenting or guest posting. Could you give me good advice ? Because I have just started blogging and SEO is not easy for me. Thank you for this article. I will browse your website. There are plenty of articles on SEO on this site… a whole category fill with lots of information. Hope that helps. So kindly Suggest some tips for us for these Google Updates. You are right Nile, I had made some of the mistakes and now I’m concentrating for the natural content and quality content. Thanks for sharing this article. It really made me learn some great things. I am agree with you SEO is not hard but it do great changes in internet,It is important for search engine. So many of blogger thinks that SEO is very hard think.For SEO some of us hires professional SEO expert.But its true that each and every blogger should learn basics of SEO, how to link building and so on. Quality Unique Contents + Basic SEO knowledge will surely give results as expected by blogger. It’s great to find sites with a lot of information.I was trying to get these details for the longest interval , an d found your site. Thanks for the share that you’ve done…..
First of all i would like to thanks for such a wonderful and useful blog.In seo,White-hat seo is very useful and recommended by Google.If anybody says SEO is hard,then its a joke.SEO demands patience,success will be yours. Thank you Nile for making our life’s easy with this article, If we search over the internet about SEO we will find loads of websites with different tricks and tips. The way you explained it here it’s amazing thank you very much for sharing it with your readers. Very useful tips on SEO. They will increase the rank of the website in Google. Will apply. First, I would like to thank Nile as for your nice post. SEO is not hard but its little tricky. Bloggers are continuously working on SEO to find the comprehensive and most rated ways. We should continuous try to work on SEO and to find the ways as how we can overcome the issues we found in our blogging worlds. Could someone please tell me what someone in my situation should do. Basically, I am a small business owner. I have genuinely happy customers on eBay and Etsy but I am having a hard time getting any decent traffic to my website. 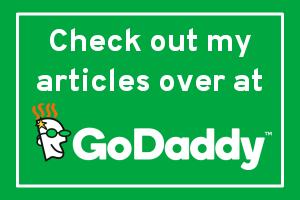 Somehow I am supposed to get traffic from social networking, blogs, and ads. All of which essentially cost money, real money, of which I do not have. Otherwise, I could just pay for the darn advertising campaign. The t-shirt bloggers are happy to take payment from the same three big companies and at the same time promote so called artists that just regurgitate pop culture nostalgia from the eighties all while excluding guys like me. So I will put “who farted” on a t-shirt and mail it tomorrow with free shipping for $15. At least I send a thick t-shirt that won’t crack or peal in a timely manner. (I started my own business, pay taxes, and don’t get a dime in assistance from Uncle Sam. Can I get a freaking backlink?) Try spending $25 for a t-shirt from one of these top contenders. It takes 2-3 weeks and it’s a cheap piece of crap. I am all for supporting indie labels and brands, but I have not found a single one that actually makes original stuff. Everything is in reference to something else. If you put the Teenage Muntant Ninja Turtles playing a vintage Nintendo game that’s branded geek gear, by I am “unoriginal” with my stuff. How to bypass a completely bias system? Lead me blogs places like these. I keep leaving reflective comments on articles with my name, but they still get deleted. Why? Because I am not a blogger, I still can’t actively participate for a backlink benefit? This blogging commentluv comment section thing is beautiful. I completely see how it works, but where is one for small ecommerce business’s? I understand why the “spammers” are annoying, but I don’t understand why they are vilified when everyone is here for the same reason. I don’t mean to hate on you bloggers. Definitely a lot of effort here. Just frustrated with the situation. Hi Bob! Frankly, there’s a lot of thing you could do without paying a crap load of money. Everyone wears t-shirts, unless you’re a devout nudist…lol. You probably could benefit from blogging. You don’t have to be fancy and you can put together interesting activities based on your business. I’ve won over a lot of tough cookies by consulting with them about content creation, and learning your niche to generate ideas that could help. It costs, but these can be used to share on social networks. Then, you’ve got social engagement. If you observe what your competition, even if you don’t like them, you can get a better idea… because more often than not, they are not spending as much as you think and it comes in with engagement. In the long run I find, the less I think about SEO, the better my website does. When I think too much about the SEO keywords and what I need to drop in here and their, the more un natural my writing is. I am still new to all this stuff like back links and SEO, what makes it worse is that people are offering you all these services such as “10k back links for $40”, a lot of which can do more harm than good. Hello, I,m new in this field and there is lots of things that I really to know. I think you tell the truth, just i was thinking that seo is hard and it will harmful to my site because of Google policies. But I ‘m glad that i got your blog. In simple words, SEO is day to day learning process. You can learn it by trial and error, SEO can be learned by experience. Really very eye-opening post. SEO is meant to produce better search results but we have been continuously creating a hype about it. Just write your best content and google will certainly love it. Yes, but not trying to be mean… this is the only comment that actually sounded like you finally got the points I’ve been talking about. Great article, and you’re right, seo should be easy but unfortunately it’s not all thanks to those who like to try to game the system. After reading the article i came across that SEO is not a rocket science. Spamming is the big issue in it. we should keep it simple and should follow the step given in the article. i am also think seo is not hard, it is very easy if you understand how things works. several tricks are used in seo to boost website and if you apply your tricks in website correctly then you feel it is simple. You are joking right? SEO is unfathomably hard! I am kidding. You are right that it isn’t hard and that people overcomplicate things and end up hurting themselves. I think the most important thing to keep in mind is that SEO takes time. People try to mess around with it in order to get instant results but that isn’t possible. Keep Calm and SEO on ; P.
Hi Nile. I found your blog by chance, but I must admit it’s really interesting. In this article you have mention about the importance of writing articles and content. I know everyone nowadays says that content is king and I also agree that unique and interesting content attracts visitors who stays on our website read text and convert but in my opinion links are also important and content without links is not worth much. I also agree with you that Seo is not hard, If you are serious about SEO and want to explore online then every single day you’ll improve and find some new tricks about SEO. But if you you are lazy and shows less interests then it is nearly impossible for you. I agree, SEO is fairly simple and straightforward. If you are travelling to a new destination, hire a tour guide to make life simpler. I am really impressed with your thoughts about Search engine Minimization. Like creating relevant back links and social shares, which of course will definitely help our SEO efforts. Besides who can keep up with Google and the other search engines constant changing of the rules! i also think that seo is not hard, but in today seo it is quite different as compare to 2 years back seo strategies. seo is changes and people change their work strategies to bring website on the top of search engine. Yes Seo is not that hard if you are following the rite techniques then you will definetly get the good results…Seo plays the the vital role in serving to make your business a huge success. Totally agree with the points you mentioned here. Yes SEO is not hard, but until and unless you don’t know what to do. Like newbies mostly start blogging and also start wondering how some blogs are performing so well over the SERPs, whereas their blogs are getting negligible pageviews. Thanks for sharing your deep insights in this article. 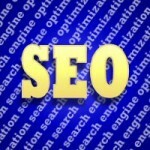 Great post and really after reading your post, I also agreed that seo is not hard. Now I am following all the tips that you mentioned and thinking to get better results for my site. Thanks for sharing. Well but SEO is also not so easy eaither,…anyways nice article thanks for sharing!! I know that you have written this article for the people who thinks that SEO is a hard task. And you gave such a good ending to this article by making people remembering that SEO is easy and not a hard task to do. Am clear that bloggers should make their site simple without killing the SEO strategy and to use simple English which makes returning visitors a lot. And Thank You for making us remember that SEO is not as tough as breaking a hard stone.